They are very trustworthy and that is the main thing that you are looking for in a locksmith. They have so much information available which made it easy for me to make good choices and to feel that I was getting the best service. My father had used them 30 years before. They do a very clean, thorough job. They're very knowledgeable in what they do. I've used them in the past for the school just down the street, and I've used them personally. That they were able to work with me to get me out of a jam, I found out that I needed a lock at 7:00 AM. I called them at 9:00 AM, and they were here by 10:00 AM that same day. They worked with me to get someone out quickly. I think they can do things that other locksmiths cannot do. What I like most is that they have the kind of key blinds for a variety of special keys that are difficult to find. Foothill Locksmiths, Inc. has been providing security solutions throughout the Greater Bay Area since 1956. 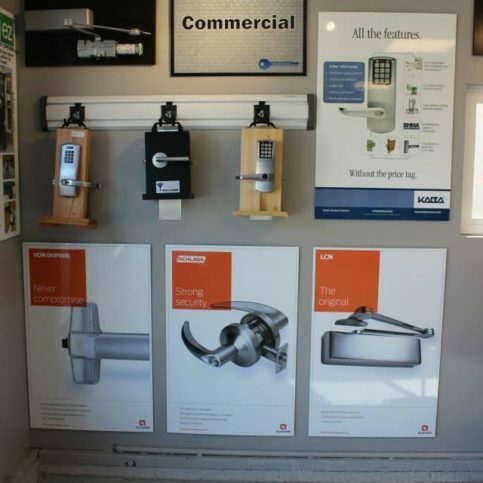 The company services commercial, residential and automotive customers, and it provides both mobile service and a storefront location in Hayward. These services include (but are not limited to) electronic access control, master key and high-security lock systems, duplication of laser-cut and transponder keys, and more. 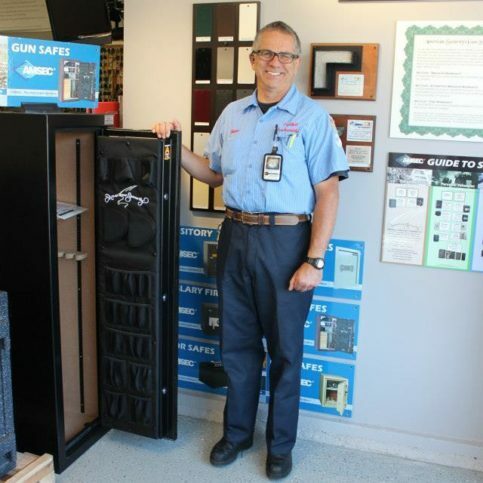 In addition to its professional services, Foothill Locksmiths offers customers a large inventory of security products and a wide variety of in-stock safes. President Blaine Lucas is a third-generation security specialist who holds multiple certifications from the Associated Locksmiths of America (ALOA), the Safe and Vault Technicians Association (SAVTA) and the National Safeman’s Organization (NSO). He is a contributing author to many of the locksmith industry’s top publications. 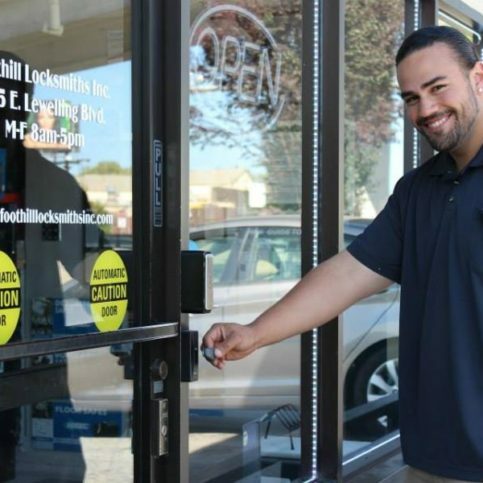 Many of Foothill Locksmiths’ security specialists are registered locksmiths with the ALOA, and they’re all licensed by the Bureau of Security and Investigative Services, as required by the state of California. “Our educated security specialists are ready to address any questions and concerns about maintaining or upgrading the security of our clients’ homes, businesses, or vehicles,” says Mr. Lucas. DIAMOND CERTIFIED RESEARCHED CAPABILITIES ON Foothill Locksmiths, Inc.
Company Name: Foothill Locksmiths, Inc.
Areas Served: Serving Alameda County and Contra Costa Counties including Hayward, San Leandro, San Lorenzo, Fremont, Newark, Union City, Alameda, Oakland, Piedmont, Berkeley, Albany, Dublin, San Ramon, Pleasanton, Livermore, Danville, Alamo, Blackhawk, Lafayette, Orinda, Moraga. DIAMOND CERTIFIED RESEARCHED ARTICLES ON Foothill Locksmiths, Inc.
Foothill Locksmiths carries a diverse inventory of safes. 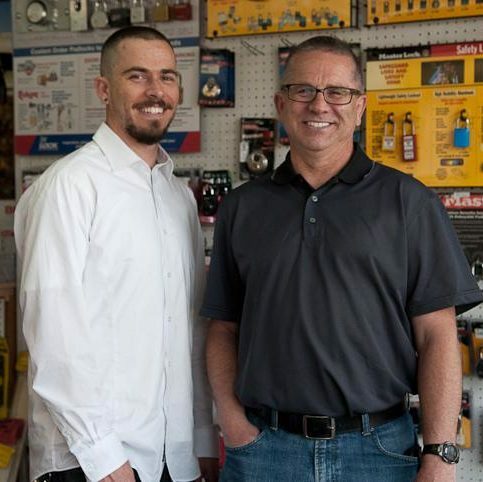 As a family-owned and operated business, Foothill Locksmiths, Inc. takes great pride in the courtesy and service it extends to all its customers. 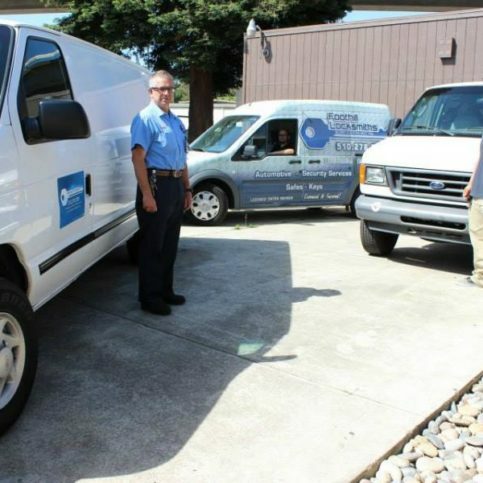 The company was the first Diamond Certified locksmith company in Alameda County and has maintained its status for the past 11 years. The Better Business Bureau has awarded the company an uninterrupted A-Plus rating for the past 28 years. It’s also best to find a good locksmith before you need one. When you’re locked out of your house or car, you often don’t have the time or resources to check credentials. Find a good, reputable locksmith who offers emergency service and keep the phone number handy. Hide-a-key rocks and other devices are also very useful in case you’re locked out—but be sure they’re placed in a truly inconspicuous place. There are some simple steps you can take to enhance your security and reduce the cost of hiring a locksmith when you need one. First, don’t keep all your keys on one key ring—only keep the keys you use every day, so there will be fewer locks to replace or rekey if the ring is lost. It’s also a good idea to ask to have the locks changed whenever you move into a new house or apartment. If you run a business or there are a number of people who possess a key to your home, it’s wise to change the locks every few years. Q: Do you cut keys? A: Absolutely. 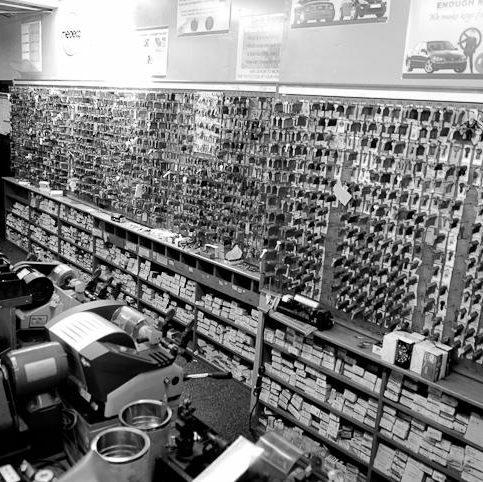 We have one of the largest key blank inventories in Northern California, and we can often provide the duplicates that other stores can’t. Even though we handle large commercial and residential projects, we continue to service walk-in customers at our store in the East Bay. Q: Do you cut transponder keys? A: We’re able to duplicate most transponder keys, keyless entry remotes, laser cut keys and VATS keys for vehicles. 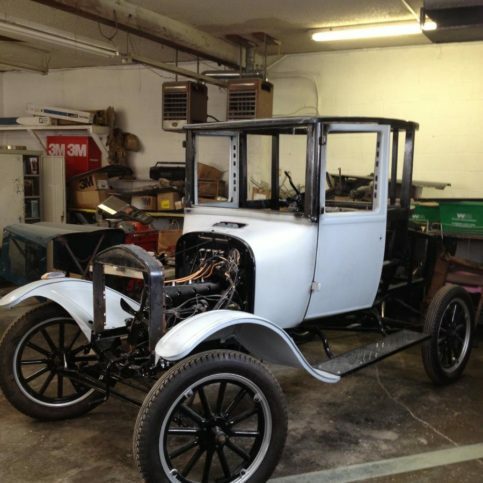 Most services require the year, make and model of the vehicle; some require the vehicle to be present at our store. To receive a quote and learn more about the process for your vehicle, simply give us a call. In most scenarios, this information is available over the phone. Q: How long does it take to rekey a residential lock? A: For a standard, residential-grade lock, it takes five to 10 minutes per cylinder. We’re able to offer our customers an estimated wait time in the shop, and we also have drop-off and pick-up options if you’re in a particular rush. Q: Do you carry high-security locks? A: We’re a registered dealer of many high-security brands, including Medeco, Keymark, Mul-T-Lock and Schlage Primus. We maintain accurate and secure records of all authorized users. Q: Do you work with real estate management companies? A: We’ve been collaborating with real estate and property management companies in the Bay Area for decades. Our security technicians are able to create the perfect solutions to meet your needs. We’re even able to offer master keying and eviction services. Q: Do you perform security evaluations? A: Our security specialists are available to perform comprehensive evaluations and walk-throughs across the Bay Area. These are great learning opportunities for home/business owners, tenants and property managers alike. If you’re not interested in having us at your property, we recommend you visit our store and speak with any of our staff members about your security questions/concerns. There are a number of products and tips available to improve your level of security without breaking the bank. We’re able to address these options with all of our customers, regardless of the business size or housing situation. There’s always room for improvement, no matter the budget. SELECTED PHOTOS FROM Foothill Locksmiths, Inc.
Foothill Locksmiths installs all types of access control systems. A Foothill Locksmith technician works on a Medeco high-security lock. 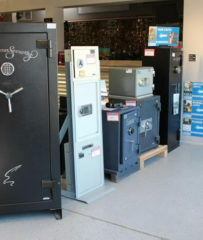 Foothill Locksmiths offers a diverse inventory of safes. 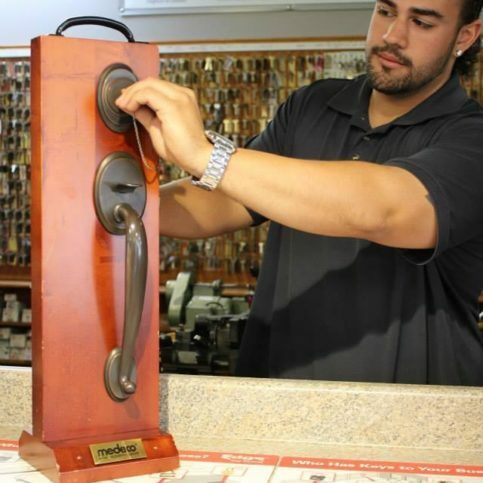 Foothill Locksmiths offers convenient and professional mobile service. 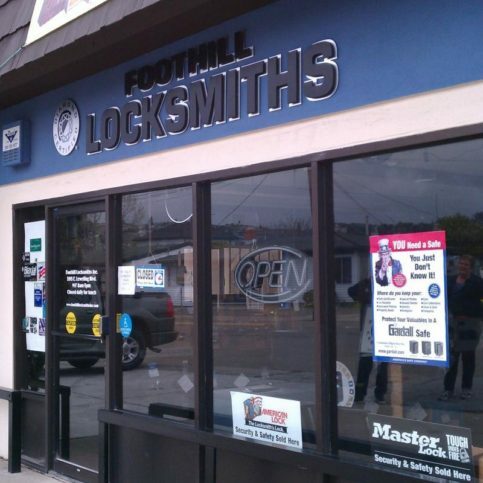 Foothill Locksmiths provides commercial security solutions. 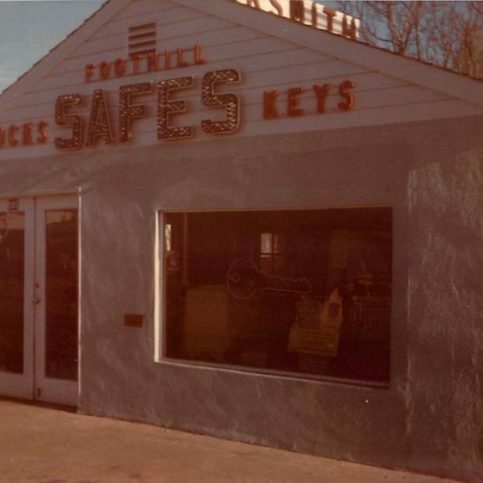 Foothill Locksmiths’ current storefront is located in Hayward. 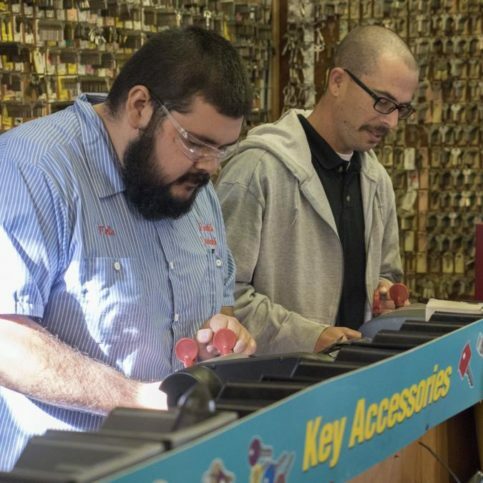 The company has one of the North Bay’s largest blank key inventories. Blaine Lucas is a 42-year veteran of the locksmith industry and owner of Foothill Locksmiths, Inc., a Diamond Certified company since 2004. He can be reached at (510) 621-7956 or by email. Outside of work, Blaine likes spending as much time as possible on the beach, whether at home or on vacation. “Dolores and I love going to Maui, which we’ve been able to do a number of times in the last few years,” he says. “We like sitting on the beach, enjoying the weather and watching the whales jump out of the water. We also like taking our dog on walks at Half Moon Bay.” Additionally, Blaine says he enjoys contributing his professional expertise by writing articles for trade publications. Q: What’s your favorite local restaurant? Q: What kind of music do you like? A: Mostly ’80s rock, but I also enjoy Hawaiian music. A: Go to the movies. Q: What’s your favorite thing to eat for dessert? A: Anything with strawberries on it. HAYWARD — Nobody plans on getting locked out of their car or house, which is why few people take the time to research locksmiths before they need one. However, due to the potential consequences, it’s a good idea to find a quality locksmith in advance. The biggest reason for this is simple: not all locksmiths are reputable. For example, some locksmiths are unlicensed, which means they operate outside of state requirements. The State of California requires licensing for both individual locksmiths and locksmith companies. The licensing process involves live scan fingerprinting and a background check. Calling an unlicensed locksmith is bad enough, but it can get much worse. Locksmith scams are a major problem in the industry—such a problem, in fact, that they’ve been featured on television programs like “Good Morning America.” Typically, locksmith scammers operate by using the classic “bait-and-switch” tactic, where they’ll quote a low price over the phone but jack up the price and demand cash-only payment once the job is complete. It’s not uncommon for these fraudulent locksmiths to leave a job unfinished or the home or business in poor condition, with damage to the locks and doors. The best way to avoid becoming the victim of a disreputable locksmith is to find a reputable one in advance. That way, when you suddenly find yourself in a tight spot, you can have confidence that you’ll be taken care of. There’s no such thing as a fireproof safe, but you do want one that’s fire-resistant. Look for the certification label on the inside of the safe door. 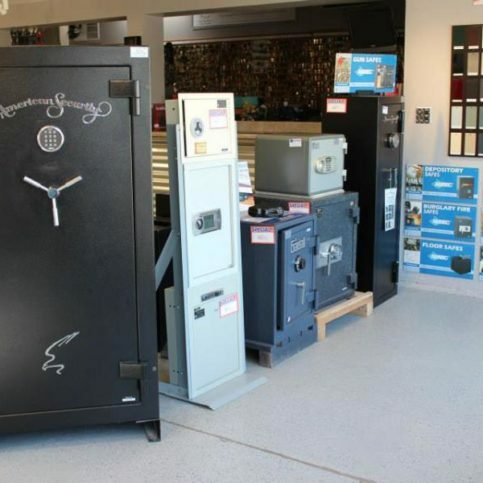 Not all safes are rated for their strength and resistance, but yours should be. Talk to a security specialist to find out which security rating best fits your needs. Check if the safe can be bolted down—in the case of a burglary, you don’t want someone to be able to haul it away. Plus, larger safes can be top-heavy, which is a safety issue if they aren’t bolted down. Check to see what burglary protection the safe provides. Does it have a re-locker that double-locks the safe in the instance of a brute force attack? Does it have drill and hinge protection? Always buy a safe that’s a little larger than you currently need. People often purchase a safe to store a specific number of valuables but later realize they have additional items to store. Plus, your needs are likely to change in the future, especially as you acquire more valuables, so it’s best to be proactive about your safe investment. A safe that’s easy to use is more likely to be used. Many safes have a four-digit code, which only provides 10,000 possible combinations. A better bet is to get a safe with a six-digit code, which gives you one million possible combinations. Get to know the brand of the safe and familiarize yourself with the warranty and service options, which will be beneficial if you need further assistance down the road. Always inquire about delivery, installation and any possible future service needs. By selecting an informed, high-quality provider, you’ll have a better experience owning the safe. HAYWARD — A crucial part of ensuring the security of your home or business is establishing key control—that is, knowing who has access to your property. When moving into a new home or business space, one of the first things you should do is have all the door locks rekeyed. This is extremely important for any property that previously had occupants, as there’s no way to know who may still have keys to the existing locks. By having all locks rekeyed at the outset, you can avoid any potential for burglary or intrusion. Furthermore, while changing out locks entirely can be an expensive endeavor, rekeying is a comparatively simple and affordable measure. While rekeying locks is a crucial aspect of key control, there are further measures you can take to limit access to your home or facility. Since keys to most standard locks can be copied at a hardware or department store with no questions asked, you may want to consider upgrading to high-security locks. These locks are UL Listed for bump and pick resistance, and they also have patented key systems that enable only authorized individuals to get key copies made. While you may feel hesitant to spend the extra money on a high-security lock, it can be a good investment when it comes to the security of your home or business. HAYWARD – When replacing or installing new locks in a commercial setting, a critical concern is keeping in compliance with local and federal standards. For example, lever locks are required in almost all commercial applications in accordance with the Americans with Disabilities Act of 1990, as well as general life safety and fire codes. Regular doorknobs are not compliant due to the fact that they can be hard to grip and turn, which can restrict people from moving in and out of the building. However, simply having lever locks isn’t enough: they need to be of the proper specifications to satisfy safety code standards. For example, the lever returns need to be less than half an inch from the door to minimize risk of getting hung up on a lever while trying to exit during an emergency. By learning about local and federal code requirements ahead of time, you can avoid the expensive mistake of installing non-compliant door hardware. 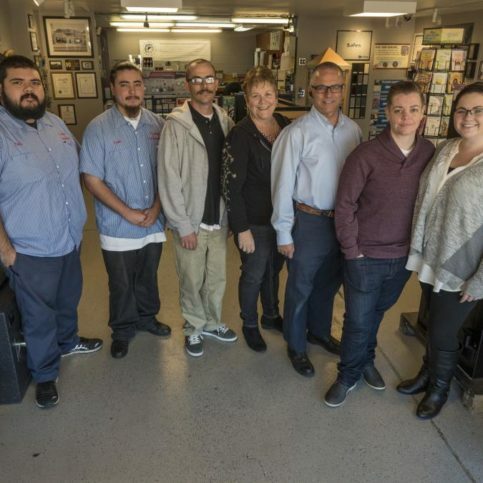 HAYWARD — Host, Sarah Rutan: While you can’t anticipate being locked out of your car or home, you can avoid a tough situation by finding a trusted locksmith ahead of time. To learn more, we’re with Katelyn Radtke of Foothill Locksmiths, speaking on behalf of Diamond Certified Expert Contributor Blaine Lucas. 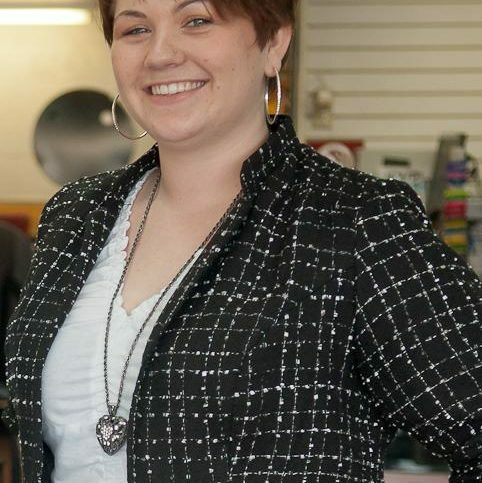 Katelyn Radtke: It’s important to find a good locksmith before you need one, and there are three main reasons why. The first reason is that scams in this industry are real. Locksmith scams have been featured on shows like 7 On Your Side or Good Morning America. Often, a scammer locksmith will quote a low price over the phone, and once the job is complete, they’ll add a zero to their quote and demand cash-only payment. It is not uncommon for these scammer locksmiths to leave a job unfinished or the home or business in poor condition with damage to the locks and doors. The second reason to find a quality locksmith before you need one is that not all locksmiths are reputable. The State of California requires licensing for both individual locksmiths and locksmith companies. The licensing process involves live scan fingerprinting and a background check. Not all locksmiths are licensed, but yours should be. HAYWARD — Host, Sarah Rutan: When it comes to the safety of your home, you’ll need to consider the importance of rekeying. Today, we’re in Hayward with Diamond Certified Expert Contributor Justin Eaglin of Foothill Locksmiths to hear more. Diamond Certified Expert Contributor, Justin Eaglin: Key control and knowing who has access to your hoe or business is extremely important. If you are a new home or business owner, the first thing you should do before moving any items in is get the keys relocked to a new key. This is extremely important because you don’t know who may still have the keys – a previous owner, a realtor, a landscaper… the list goes on. So getting any locks rekeyed is extremely important. Now key control doesn’t just stop at rekeying the locks. I have here the most common brand locks that you can buy at Home Depot, Lowe’s, Osh. Unfortunately, these locks can be picked or bumped and actually be copied at any facility with no questions asked. So if you are considering key control, you need to ask yourselves two questions. Number one: Will I be giving the keys to anyone beside myself? And number two: Do I mind if the people I give the keys to make copies without my permission? If you answered yes to either of those questions, then you need to consider moving to a higher security lock. This is a Medeco lock. Medeco locks are UL listed for bump and pick resistance. This lock was also awarded by Consumer’s Digest, the number one mechanical lock on the market. This product also has a patented key system that only authorized people can get copies of the keys made. The choice is yours but you really should not cut corners when it comes to your security and keeping your items safe. Diamond Certified RATINGS ON Foothill Locksmiths, Inc.
Foothill Locksmiths, Inc. : Average 9.3 out of 10 based on 413 unique customer surveys of customer satisfaction. They are very dependable, and they know what they are doing. They are very businesslike. The young man was very good. It only took him 10-15 minutes to get to me. They came out quickly and did a good job. They are close in my area, so I did not have to wait long. They are the best that I have come in contact with. The customer service is great. Their suggestions of what to do are great, and they do extra. They are very competent. They are very helpful, just very fantastic. I can't say enough good things about them. I purchased a lock box somewhere else and couldn't get into it. I took it to them, and they got in it without charging me. They also carried it back to my car for me. They are reliable and pretty prompt. They are able to meet difficult needs, key shapes. They are very friendly and knowledgeable. The friendliness and the team work, if one person doesn't know the answer, they will get someone that does. They are excellent, attentive, clean, and very professional. What I mentioned already, and that's it. I would say to go there. They are convenient and fast. They are the only ones that we deal with. They were very professional and quick to respond. They were able to come out quickly. They were good, reliable, and fast. They are very courteous and pleasant. They provide excellent service. They are a company that my family has done business with over the years. I feel comfortable with them. 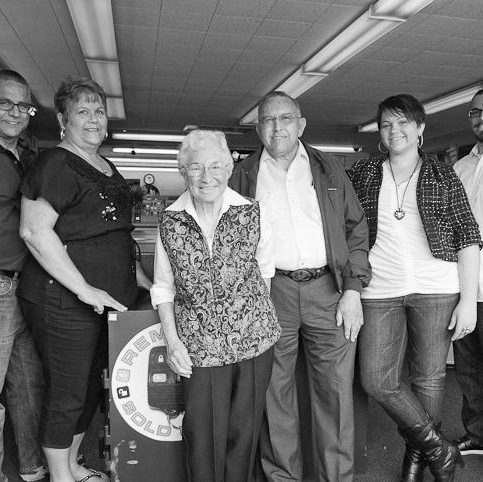 They are like family. We use them all of the time. We are repeat customers. They take care of the problem, no questions. You just tell them what it is you need done, and they take care of it. Foothill Locksmiths is the company I go to. It was easy and painless to work with them. I lived in that area for about 40 years, and now I live in Tri-Valley, but I still have rentals out there. They are my go-to company for when I have needs for keys or locks on my rentals. The one thing I noticed was when they make a key for me, it always works the first time, as opposed to going to Home Depot or somewhere similar. I had kind of a weird situation at a rental I converted to a sale last November, and a former tenant left his really heavy safe in the back room of the house. I went over and talked to these guys at Foothill and asked them if they wanted this safe. Then, I asked if they could get it out of there for me, and they were really good. I took a picture with my phone, and they came over. They didn't want it, but they got it out for me and charged me a miniscule amount compared to moving companies. They removed it without any damage from a back room through the house, down a narrow hallway, and then down a set of stairs. They are my go-to locksmith for the five rentals I have out there. They do what they say. They're on time for appointment, and very reasonable in their fees.